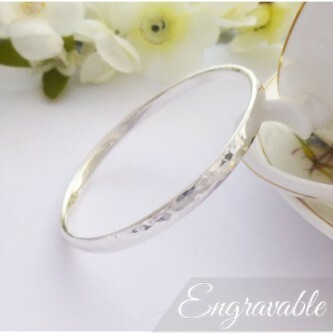 A charming sterling silver hammered slave bangle that is fabulous on! 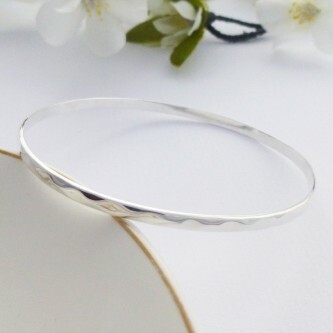 A divine, hammered sterling silver ladies torque, a beautiful bangle! The full range of hammered solid silver bangles from Guilty. From hammered slave bangles that make the perfect gift, to our Exclusive range of solid sterling silver bangles that have hand hammered exteriors and smooth interiors and are hand made in the West Country. Many of our solid hammered silver bangles now come with optional engraving on the inside, get your hammered bangle personalised with a meaningful message on a modern and fresh design in the highest quality solid sterling silver with free delivery and padded jewellery boxes. 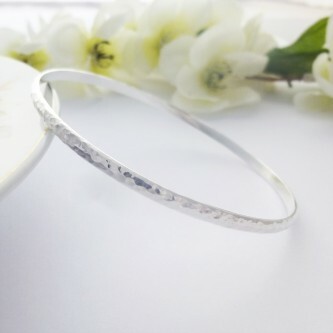 View the range of sterling silver hammered bangles for women from Guilty. Guilty has one of the largest online collections of bangles in the UK and is proud to present the collection of hammered silver bangles for ladies that love a bangle that is unique and alternative. Hammered bangles are favoured by fashion forward women that want a funky and unique look and Guilty has one of the biggest collections online. The Guilty range of sterling silver hammered bangles has something for everyone, from simple and low cost hammered slave bangles to the very highest quality solid silver hammered bangles that are hand made (and hand hammered!) by our own silversmith here in the South West of England. 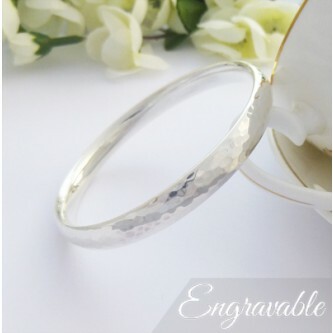 Our exclusive solid hammered bangles can also be engraved, as the outside of the bangle is hammered, the engraving can only take place on the smooth and highly polished interior of the bangle. 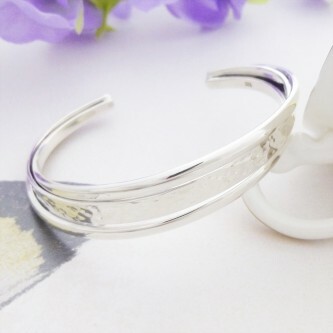 This makes these bangles ideal if you want to engrave a personalised message for a loved one, ideal for a birthday gift or a wedding anniversary, to commemorate a special occasion or just to say I love you. All of the bangles that are available for engraving are made from solid 925 sterling silver, they are all hand made and hallmarked at a UK assay office guaranteeing you of the quality of the precious metal. Some of our hammered bangles are also available in alternative wrist sizes including large and extra large wrist sizes and small and extra small wrist sizes. Guilty has a fantastic reputation for customer service, we try to ship as fast as possible and always use a signed for service with the Royal Mail, returns are accepted within our guidelines and we are always available to help, answer any questions and help you to choose the right bangle for your specific circumstances.